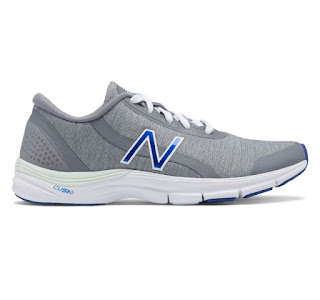 Today only you can get this New Balance Women's 711v3 Heathered Cross Trainer Shoe for ONLY $32.99 (Retail $69.99)! Match your workout with comfort at every corner. The women's 711v3 Heather training shoe features Cush+ technology and imprint foam around the heel and collar to make every movement more enjoyable so you'll be motivated to go and go. Shoe also features a durable upper with a no-sew overlay for a sleek fit that's stylish, too. It's easy to see why the 711v3 cross-training shoe for women is one of our best sellers. Comfort. Cute. What more could a girl want? Shoe features a comfort insert and durable synthetic/mesh upper.